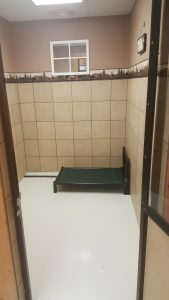 Welcome to Old Stone Pet Lodge, the first state-of-the-art indoor, overnight canine and feline boarding facility. 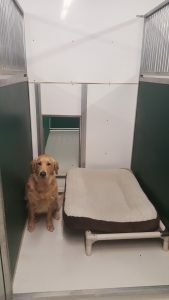 We have a large outdoor play yard with astro turf, to eliminate dogs getting dirty when playing outside. Our facility is located in the woods on 61 acres, south of Oregon. Our private suites are 6′ x 8′, filled with home amenities, including a special bed. The private suites are separated from the standard rooms to endure a “sweet” stay. 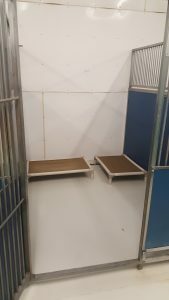 Includes a 6’x 8′ room, separate from the individual runs; each guest receives their own cot, minimally 3 outdoor exercise/potty times, afternoon treats and some daily love. 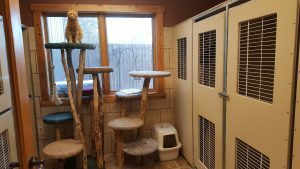 We offer individual cat condos, in a bright, airy and comfortable, home-like environment, full of entertainment. We guarantee to let our feline friends out of their individual condos minimally 3 times a day to climb and roam freely.